A flat panel PC is the one that uses a flat screen monitor for visual purpose. In the modern age a large number of people are working on computers. Their job requires extensive hours of sitting in front of the computer with their eyes glued to the screen. This practice often demands a high-resolution monitor, which does not strain the eyes of the user badly. To meet the demands of the consumers many computer manufacturing companies have come up hi-tech flat screen monitors. A flat panel PC monitor does not use cathode ray tube or CRT technology. It rather uses the LDC or Plasma technology. The monitors look sleek, stylish and are light weighted. These monitors are known for their clarity and high end digital technology. Such PCs are being used by gamers, computer professionals and even at home. There are several advantages of using a flat panel PC. It does not weigh much unlike the CRT PC. The display is clear and high in resolution causing less strain to the users’ eyes. Some of the flat screen monitors also have USB ports on them. Another good thing about flat screen monitors is that the response time is reasonably less. This kind of system starts faster and with ease. The power consumed by these kinds of monitors is almost half of the amount consumed by CRT monitors. A flat screen LCD, TFT and Plasma monitor is extremely efficient and the picture quality is very good as it can overcome any subtle distortions that were prominent on the CRT screens. Watching movies on a flat screen monitor is exciting and the color quality is extremely good that does not hurt the eye. The prices of these monitors have become reasonably less these days and hence buying one of these is not a matter of concern any more. Because of technology, work spaces right now are much more advanced and require specific accessories. Until the rise of computer technology, the table had been one and only thing needed to mount a typewriter, calculator, paper, and pens. Nonetheless, the computer has altered all that. Naturally, the keyboard and the monitor still have to have a table nevertheless there are some jobs now that demand a number of computer displays. These computer displays can’t be put on an ordinary desk because there are occasionally 3 or even more monitors that require quality monitor mounts. The broadcast sector, plus the financial and retail markets, can have distinct requirements in terms of work areas. As we see on television, the people working in broadcasting really need a number of computer monitors for managing their journalists working on the field and anchors doing work in the studio. These kind of monitors are also used for editing and other production related tasks. Workers in offices in the currency markets in addition need several monitors to keep tabs on the latest developments in the monetary market and the changes in stock prices. These screens should improve production by viewing a number of paperwork at the same time and lessening the requirement for paper which is very eco-friendly. It is extremely common to find individuals facing 4 to 6 screens at once to monitor market trading. 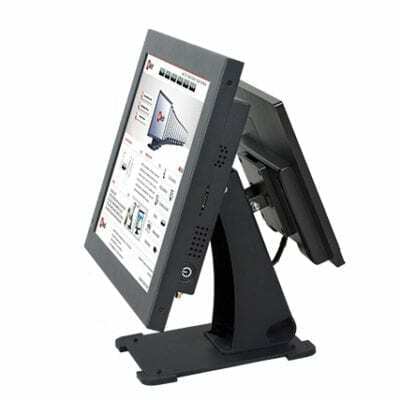 Recognizing the unique demands of this market, several suppliers have produced state-of-the-art monitor mounts and monitor stands for those LCD screens. These mounting solutions deliver better viewing and versatility in adjusting. The monitor stand could be adjusted without having to use tools and can be installed not just in a broadcasting studio, and also in the home office. There are also readily available monitor mounts where a number of displays can be placed. 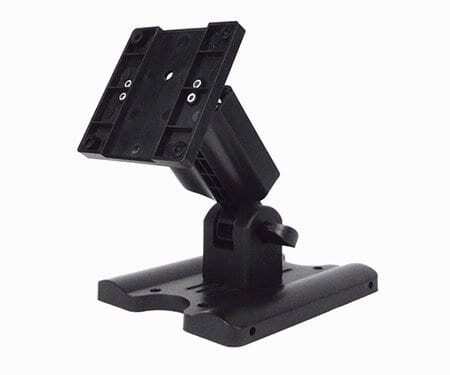 These monitor mounts can be obtained as desk clamps, flush mounts, and slat wall models. The monitor stand could be adjusted at several inches of height range, also it rotates to several degrees down and up for each monitor. The retail industry can also use these multiple monitors. Monitors of various sizes are utilized in the checkout counters of shops throughout the world plus some are sometimes used in advertising their products. Businesses that focus on making these types of products can tailor-make a monitor stand or monitor mounts to suit their client’s requirements. These mounts should adhere to the design specified by the client for easy installation and to protect the wire connections that come with the computer monitor. Special attention is devoted to the structure of these monitor mounts so they really comply with ergonomic principles. The display should be at eye level in order to avoid strain, and the posture when viewing these multiple screens shouldn’t be awkward. It is important to be sure that mounting solutions suppliers make sure they are not unintentionally causing strain and injury to a worker’s body by creating a monitor stand that is too tall or way too short. There is no longer any need to have your office desk cluttered with all that stuff because of lack of space. Use desk mounts for monitors to fix your LCD monitor off the desk using a clamp and save valuable space for other items. Besides saving you space, these mounds can also fix your PC monitor in the most ergonomic position. Modern desk mounts for monitors offer a level of flexibility that are unknown of when it comes to using computer monitors in the past. Many mounts have arms that make it possible to move the monitor screen in all directions. The arm could swivel up to 180 degrees allowing you to work from different positions or share the screen for some quick information sharing with others. The adjustable arm feature for monitors is an important feature for shared desks or workstations in environments that require a lot of sitting and standing. It can allow you to adjust the screen instantly without any hassles. More sophisticated designs allow the monitor to remain fixed in a position once you have set them so. The involved systems ensure that the arm and the motion lasts thousands of cycles without any problems. The ergonomics benefits help minimize the strain on your back, neck or eye. Adjust the monitor arm to the most comfortable position and you can also increase the work performance. Many monitor arms have special cable management systems so that all the cables are kept out of the way. This can further help improve the productivity of your work environment. Thus, you will have more free space on your desk and all the cables out of the way so that you can focus on your work. Now that you know the main benefits of desk mounts for monitors, it is time to consider the main factors before choosing the right mount for your computer monitor. Mounting Pattern – Check the mounting pattern of the desk mount. It refers to the layout of the screw hole behind the computer monitor to which the mount can be attached. It will be ideal to use a mount that meets the International VESA standard. Match the standard and you will not make any mistake in terms of this one factor. Loading Capacity – This is simple – choose a mount that can easily bear the weight of the monitor. Usually, weight is the primary factor under capacity, but also check if it will support the size of the screen or not. Quality – You cannot afford to ignore quality; this is one product where poor quality could mean losing your PC monitor itself. Modern flat panel screens are expensive, so make sure that you choose desk mounts for monitors that feature high quality materials and build. Choose a desk mount that is both durable and flexible to meet your requirements.